We are open Monday through Friday from 8:00AM to 8:00PM with walk in hours from 8:00AM to 7:00PM. On weekends, we are open Saturdays and Sunday from 8:00AM to 2:00PM with walk in hours from 8:00AM to 1:00PM. Holidays hours are from 8:00AM to 2:00PM with subject to change. Please call our office with any questions. You find yourself in a situation where you need to see a doctor today. Your child has a cold . . . you hurt yourself at work . . . you’ve been sick a week, but can’t afford to take the time off from work. You can’t find a doctor who can see you at a convenient time. You are left to wait or hurry off to a crowded, expensive emergency room. Until now when you needed a family doctor or immediate medical attention you did not have much choice. Now you can come to Emergimed/Cliffside Medical LLC either by walk-in or by appointment to see the doctor of your choice. If you need to see the doctor today, just walk in. Emergimed is staffed by physicians specializing in internal medicine, primary care, cardiology, gastroenterology, dermatology and radiology. Laboratory and radiology facilities are available on premises, should they be necessary. 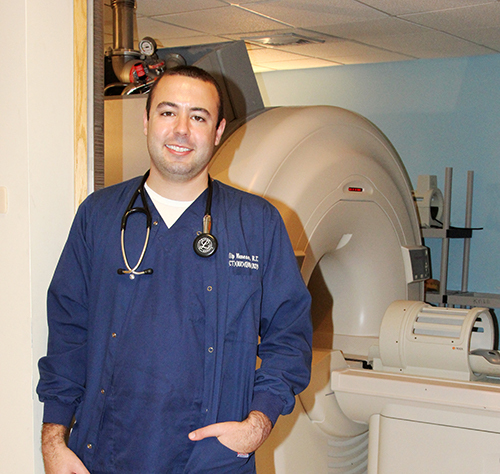 Our doctors have admitting privileges at both Holy Name Hospital and Englewood Hospital Medical Center. We are open seven days per week: Monday through Fridays from 8:00am to 8:00pm, Saturdays and Sundays from 8:00am to 2:00pm. On a walk-in basis, patients are asked to please come into the office at least one hour prior to closing. Both the NJ Transit #156 (Englewood Cliffs/NY) and NJ Transit #131 (Fort Lee/Hoboken) bus lines service Palisades Avenue. 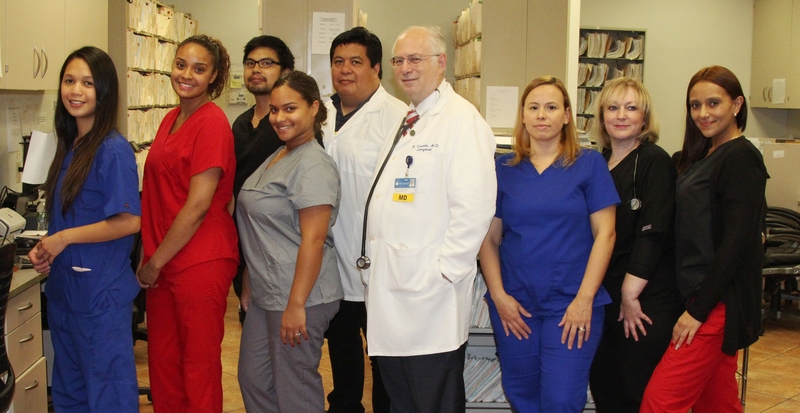 Our doctors and staff are also conversant in a number of foreign languages including Spanish, Italian, Tagalog, Hebrew, Yiddish, Thai, French, German, and Swedish. EmergiMed is much less expensive than comparable hospital emergency services. Your private insurance will probably cover the cost of examination and tests. Payment is expected at the time of service. We accept cash, personal checks, VISA and MasterCard. We accept Medicare, Auto No-Fault, Compensation, Medallion, and many other health plans. Although we do see patients without appointments, any patient who is potentially critically injured or critically ill is advised to go to the nearest hospital. If you need a doctor, right away, come to EmergiMed. There’s no easier way to see a physician.